I'm gonna blame the holidays for distracting me from posting...especially Groundhog Day. Always a big production in my house: months of preparation and shopping. Well, now that the celebration is over, here's a teaser page from an upcoming project. 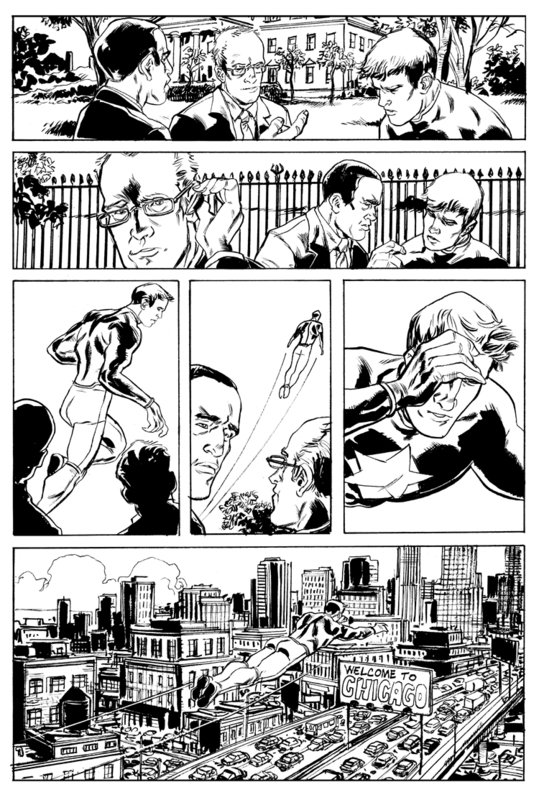 It's a creative take on superheroes written by Jeff Winstead for local publisher 215ink. I'm drawing half of issue one.